RED’s Hydrogen One smartphone has been referred to as “mysterious” by many outlets and with good reason. Outside of the cosmetic features, not much is known about the handset and as we know the cosmetic features are usually the first details to be revealed. 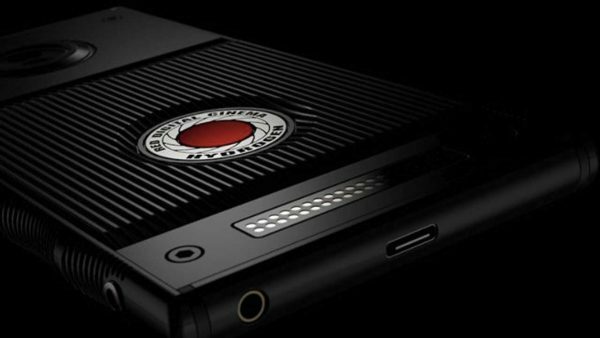 From RED’s own details about the Hydrogen One, it will feature a 5.7” holographic display. This is achieved via RED’s 4-View which allows for 3D viewing without 3D glasses. Think augmented reality only without the need for looking through anything else. In addition to this, the handset will be extendable with hardware add-ons. For those who really want the Hydrogen One, it is currently only heading to AT&T and Verizon priced at $1,200. While it was announced last year with preorders kicking off that summer, the release has been knocked back to August of this year as it clears carriers. If this means it could be available to potential customers on other networks remains to be seen but it is definitely heading to AT&T and Verizon at the moment. While it’s always important to wait for more details when an entirely new smartphone is entering an already crowded pool, it’s already gotten customers interested in preorders. Does the Hydrogen One look worth the price upfront? Let us know what you think below.